Suction stage for manual pre-pumping or for emergency operation. Safety by means of integrated heel protection (outflow protection). High flow rate at low weight. Perbunan tubing with anti-kink spring. 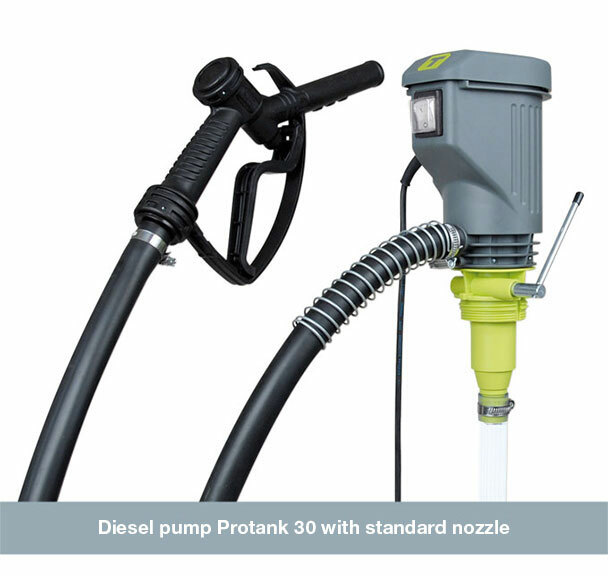 Standard nozzle ZP19 or automatic nozzle. 230 V: cable with Schuko plug. 12 V oder 24 V: cable with low-voltage plug. Construction: Robust design fulfilling the hardest tasks. Siphon protection: Permanently effective, acc. to law. Delivery head: 9 to 17m, up to 2 m self priming. Motor protection: Overload protection by a thermal circuit breaker, self-resetting. 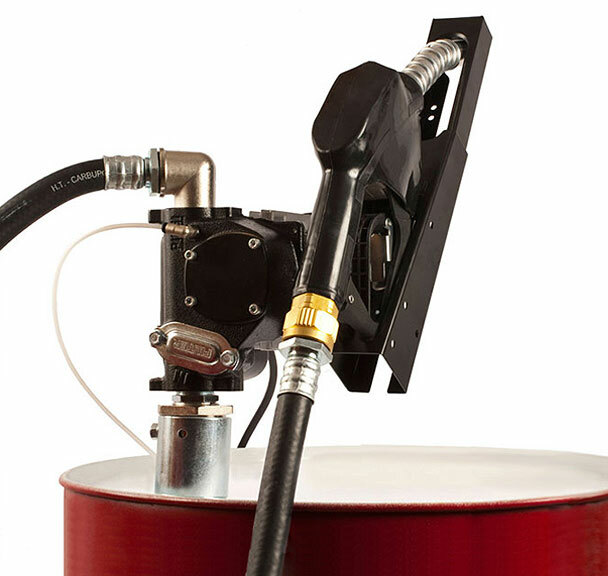 Handling: Discharge hose can be easily disassembled from pump. Material: Pump housing and impeller made of cast iron. Suction hose: Length 1,6 m, 1″, with strainer. 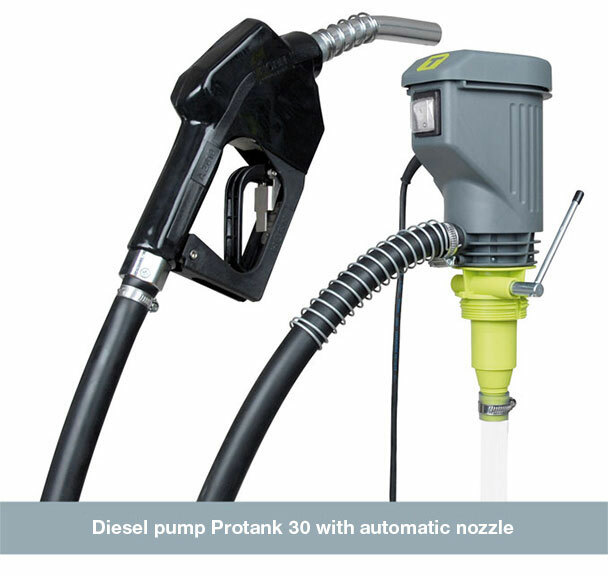 Nozzle: Standard nozzle or automatic nozzle included in set. Flowmeter: Mechanical flowmeter as option depending on version, see program.